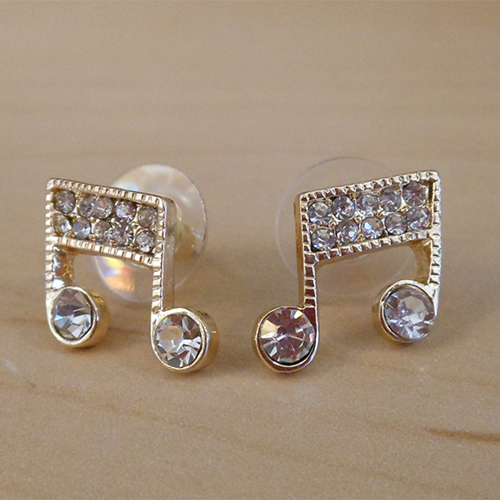 These earrings are so beautiful! 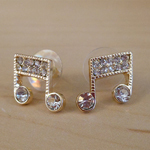 The music notes are covered in clear rhinestones with a gold background. These earrings measures just over a half an inch. There are metal backs with round plastic supports for comfort.